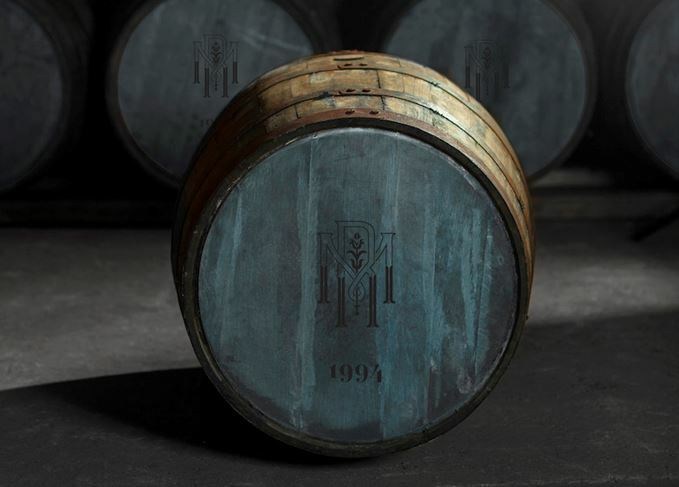 Ireland’s Midleton distillery has made a play for the wealthy whiskey collector with the launch of the Midleton Very Rare Cask Circle – an upmarket private members club offering single cask purchases of up to €450,000. Richard Woodard reports. It’s no secret that Irish whiskey is on a hot streak right now. The fastest-growing brown spirits category in the world, spearheaded by Jameson, its dominant brand. Distilleries all over the land planned, being built and producing spirit. An industry once moribund, now resurgent – and increasingly self-confident. The Midleton Very Rare Cask Circle is a symptom of this new-found buoyancy and optimism. The days of Irish whiskey’s near-collapse are all but forgotten and, in their place, distillers are asserting their desire for a seat at the top table of spirits appreciated by connoisseurs and collectors. The business model is hardly new, and it’s one that has been increasingly embraced by Scotch whisky in recent years: identify individual casks of quality and maturity, and offer them for sale to those who can afford them – high net worth individuals all over the world. Indeed, the launch of Cask Circle comes as a cask of Macallan, distilled in 1987, was sold at auction in Hong Kong for almost £300,000. Can Irish whiskey aspire to this kind of stratospheric pricing? Yes, it seems, it can. At launch, The Midleton Very Rare Cask Circle offers 32 casks of maturing Irish whiskey, from a 12-year-old ex-Bourbon cask with an asking price of €75,000, to a venerable Port pipe at a cool €450,000. In between, there is a wide variety of ages and cask types, involving Sherry, Malaga wine, Port, rum and Irish oak, filled with grain whiskey or single pot still Irish whiskey. Some are ready to bottle, some would benefit from more time in cask, but that’s a decision for the purchaser, depending on their individual taste – and patience. That purchaser (or purchasers, up to a maximum of four for each cask) is buying more than just whiskey. They can personalise their bottles (although the Midleton name has to feature on the label), decant a minimum of 12 bottles at a time, and consult Midleton master distiller Brian Nation for his view on whether to bottle, or leave well alone. They can visit their cask, in the dedicated Midleton Very Rare warehouse being built now and scheduled for completion in July 2018. There’ll be a tasting area, plus a new dining room at the nearby Distiller’s Cottage, and the services of John Madden, Cask Circle concierge. Beyond the distillery, itineraries can be organised: clay pigeon shooting, golf, hotels and restaurants. It all serves to illustrate the kind of consumer the Cask Circle aims to attract. For Brian Nation, the very existence of Cask Circle is a tribute to the foresight of the past and, in particular, of his predecessor, Midleton master distiller emeritus Barry Crockett, who kept laying down quality spirit when Irish whiskey was in the doldrums. Will it work? So far, four casks have been sold, with four more sales pending. Interest has come from China, the US, the Philippines, and from a German collector resident in the US. One purchaser has earmarked the cask for his daughter’s (as yet unscheduled) wedding. ‘New era for luxury Irish whiskey’? That implies that there has been a previous era for luxury Irish whiskey. But that’s changing now and, many would say, it’s about time. A nose of lavender and gentle spice, then wood polish and clear honey, with jasmine in the background. Some tropical fruit, with an edge of dark caramel and more honey. Sandalwood, cinnamon and vanilla. On the palate, it’s thick and chewy (but not especially oily), very perfumed and lifted. Dark spices and just a little drying. Beautiful pot still character. Bottle some, keep the rest. Deep bronze with an edge of olive. Rich dark plum on the nose, with lots of spice. Dunnage floor and woodland glade. Prickle of heat on the tongue, with dark chocolate and a savoury undertow. Old mahogany with several layers of polish. Some wood tannin. Water softens, bringing prunes in Armagnac, and balancing cask and spirit character. Sugar puffs with extra honey. Relatively light, with creamy cereal. Victoria sponge. Slightly fierce on the palate, but the grain sweetness comes through with some oiliness and vanilla ice cream. A bit spirity; water dumbs the nose slightly, but lures out drier cereal notes with a pod of sweetness that sits in the middle of the tongue. Charm and character. Stewed fruits on the nose. Gentle and soft, with some damp earth, then red fruits and beetroot. On the palate, spice, pepper and a little heat. Sweet, brambly fruits with a floral touch. Water brings honey, and honeysuckle, then cereal, but adds little else to the beautiful poise and character on show. Bottle now – or, if you have a sweet tooth, leave well alone. The 35th annual release is a blend of Irish whiskeys matured for between 12 and 28 years. Three Irish whiskeys this week, plus the return of Crabbie’s to Scotch and an Islay single malt.